The administration mandate with appointment of trustee is a contract stipulated with the Fiduciaria with which you can administer your assets with confidentiality and professionalism. Stipulated between the authorised subject (fiduciaria) and the client (fiduciante), the mandate with appointment of trustee is a contract that requires confidentiality. The trustee becomes the holder of the trustor’s assets and as such appears and acts in regard to third parties. You remain owner of the assets (whether they are movable or real estate) and give the trustee the power to act. With a trustee appointment, the trustee becomes the professional administrator and custodian of assets, in complete total confidentiality and on behalf of the trustor. For those who wish custody, exercise of inherent rights and confidentiality to be guaranteed. For those looking for a single point of contact for their investments. In other words, on the basis of a trustee appointment, for those wishing for the trustee to diligently carry ordered tasks and to be a professional custodian for the whole time they are administering the assets entrusted to them. It is a static Trust company authorised by the Ministry of Economic Development specializing in tax substitution, completing the RW section of the Italian tax declaration and tax consolidation. 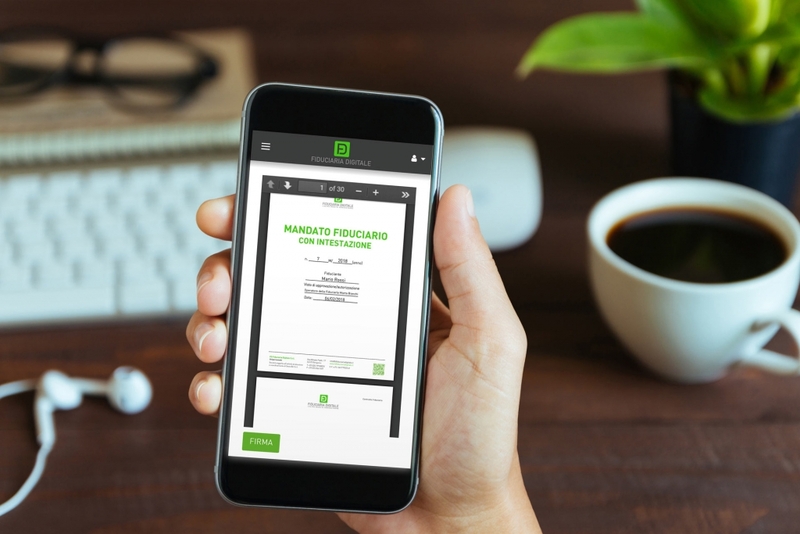 With FD Fiduciaria Digitale you can do everything you need to sign a trustee mandate, give your instructions, verify and sign the necessary documents for the instruction directly from your Smartphone.